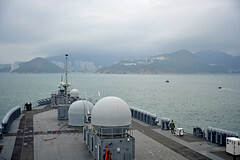 USS Blue Ridge (LCC 19) and the embarked 7th Fleet staff arrived in Hong Kong, April 20, for their first vist there in more than three years. 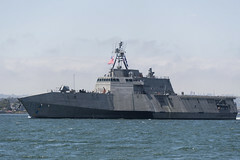 The Independence-variant LCS arrived at its San Diego homeport, April 19, after completing its maiden voyage. 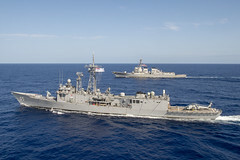 The two ships rendezvoused in the Philippine Sea for divisional tactics and other drills to strengthen interoperability. 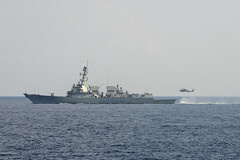 CARAT is the U.S. Navy's oldest and longest continually-running regional exercise in South and Southeast Asia. 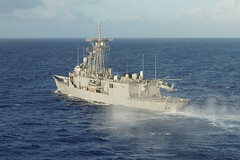 The squadron's headquarters in Guam was named in honor of Vice Adm. (ret.) 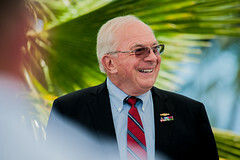 Albert Konetzni, during a ceremony, April 19. 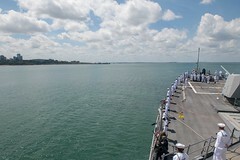 The guided-missile destroyer arrived in Darwin, Australia, April 17, for a scheduled port visit. MH-60S Sea Hawks from HSC-25 conducted deck landing qualifications with HMAS Melbourne (FFG 05), April 16. 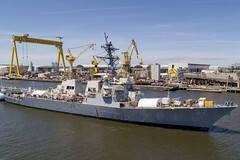 The guided-missile destroyer took another step toward returning to the fleet as a fully ready, combat-capable ship, April 16. 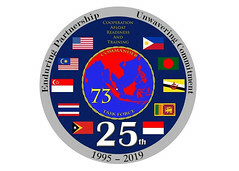 After having arrived in the islands earlier, the multinational team officially kicked off the mission's fourth stop with an opening ceremony in Chuuk, April 13. P-8 aircraft from the U.S and Indian navies, along with USS Spruance (DDG 111), conducted cooperative activities in the Indian Ocean, April 15.